Andrea Kimi Antonelli was the winner of the third round of the ACI Karting Italian Championship in the 60 Mini category, held at the Italian Sele Circuit of Battipaglia (SA). He was the leader in the first final, the longest race (12 laps), assigning the highest score to the final ranking, not less than 40 points to the winner. Andrea jumped from the fifth position for the “long” final and hardly fought until the end to gain the success, supported by a formidable chassis. In the overall ranking he takes the sixth position with fifty-four points, three races to the end of the championship. 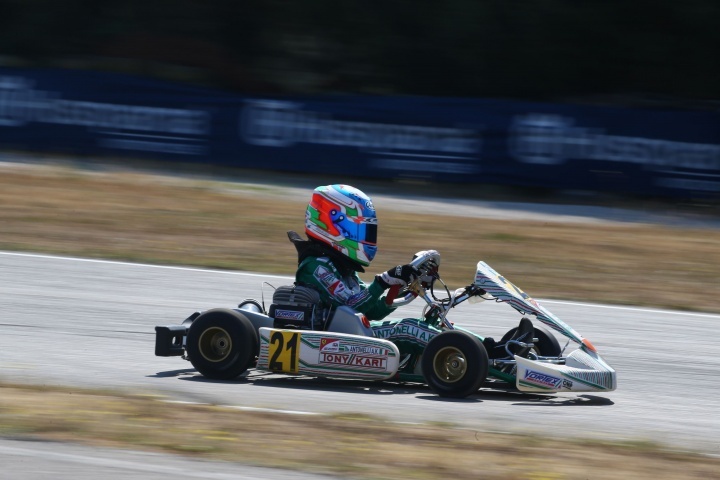 The next 14th of July Andrea will be at the Adria Karting Raceway facing the fourth race of the Italian ACI Championship.